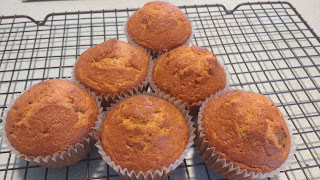 Yet another way to delightfully repurpose an overripe banana, these muffins will meet with rave reviews by your friends and family. 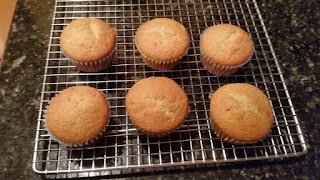 Vicki added chocolate chips and cinnamon to her recipe - which makes our mouths water just thinking about it! Perfect with a cup of coffee on a cold winter day, this will go into her baking rotation. 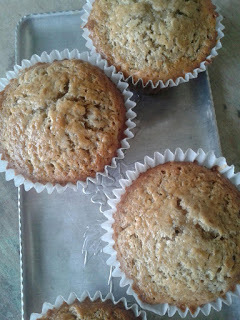 Jeniffer decided to omit the walnuts but still had some fabulous muffins to share! 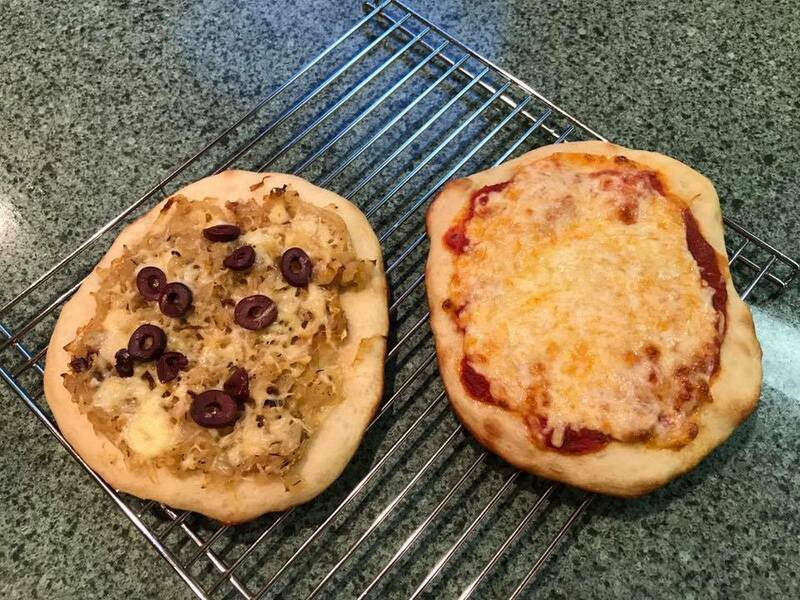 She made hers regular-sized which resulted in 7 of these yummy creations. Elle got six muffins that quickly disappeared from her counter. Both kids pleaded innocent but the crumbs around their mouths gave them away. Definitely trying the addition of chocolate chips to enhance the mellow banana flavor and light crumb. What a year, bakers! Here's to more wonderful creations and culinary adventures in 2018! If you've always wanted to try experimenting with your traditional biscuits, look no further! With a bit of yeast and fine bits of hard-boiled egg yolk, these will be a fun addition to your table. Laura is first up and look at these lovelies! She said they rose beautiful and the flavors were spectacular. Elle had a lot of fun rolling out the dough with her little offspring (who delighted in poking holes in the dough and cutting out the rounds with a mason jar so as not to cut little fingers). No one could argue with the results of this lovely biscuit / dinner role hybrid. Our final bake of the year - big banana muffins, will close out 2017. Happy baking! 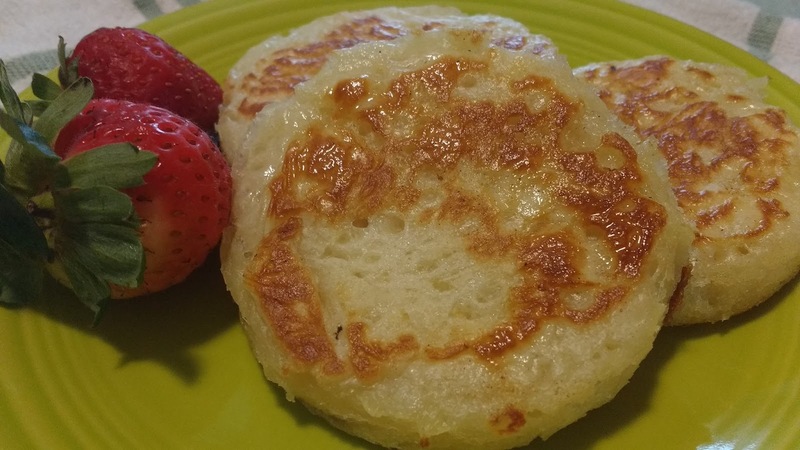 A round of applause for the adventurous bakers who tackled crumpets! Crumpets are tricky little fellows as we all found out. It is an art form to get them just right and we learned a lot in trying to perfect them. Laura decided to error on the side of caution and set her burner very low. A little too low as they came out underdone, but she had a lot of fun in the attempt and is ready to give them another go. They certainly look pretty as they cooked! 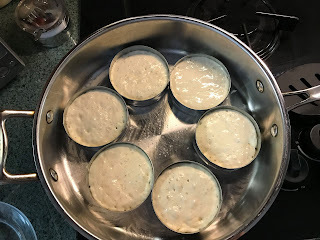 Vicki was on her second attempt at crumpets this time and still didn't think hers were quite right - but they still tasted far superior to anything found in the store. Maybe third time will be the charm? 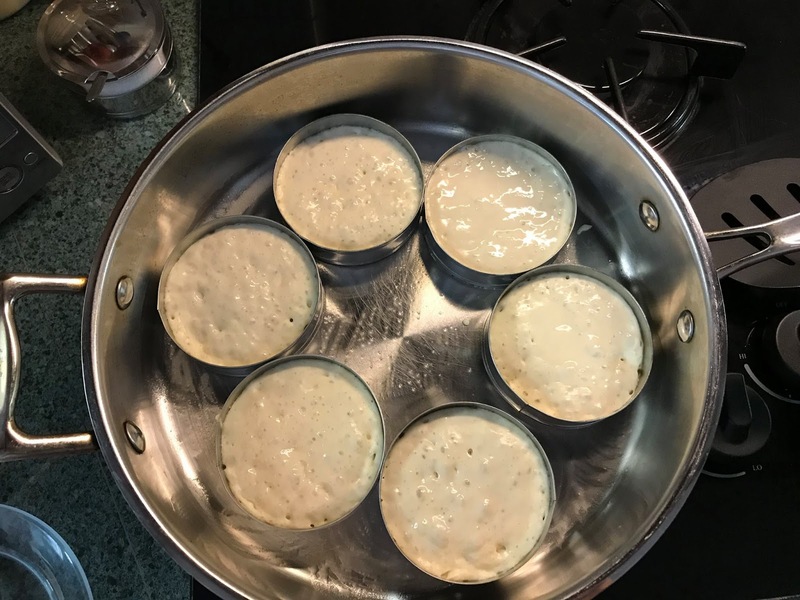 Elle was also a crumpet first-timer and found hers a smidgen underdone too - but that didn't stop her family from making the whole lot disappear. Teenager approved! 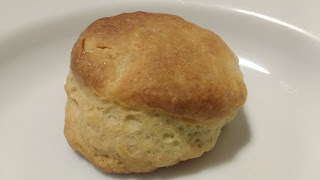 Next month we'll be trying out a new biscuit recipe with a twist - yeast! Here is a teabread that you'll want to make again and again. 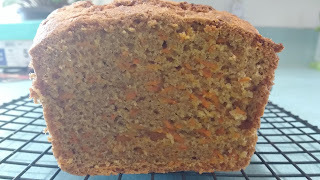 Rose's carrot bread was easy to make and delightful to eat. Vicki was a bit fooled by the name, expecting a yeasty, traditional bread. Opposite of our Banana Feather Loaf this time! 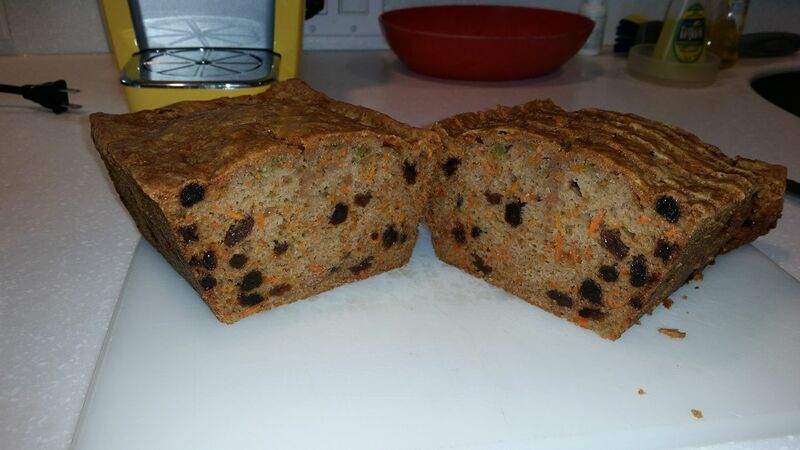 Instead, this loaf was an absolute treat, with rum-soaked raisins spiked throughout and pretty, colorful carrots. 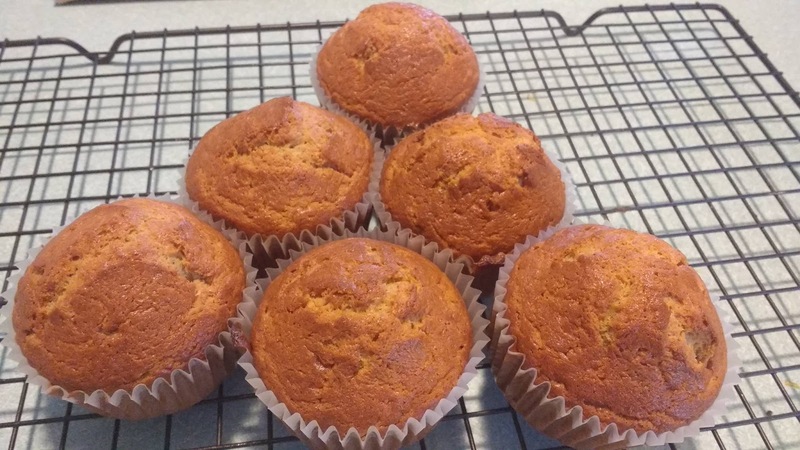 Patty was a smart baker and used pre-shredded carrots in her bread, but did give them an extra pulse in the food processor. The embedded raisins give a pleasing visual to the crumb of this spectacular bread - like carrot cake in a loaf pan, she says. 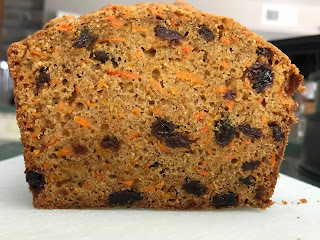 Catherine treated her co-workers to this lovely and carroty loaf and remained composed when said co-workers asked where was the icing. They didn't much care where it was after feasting on a slice, though! Laura made hers in between heat waves and thought it a delicious result. 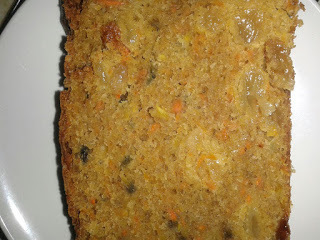 She treated us to a lovely photo showcasing colorful carrots and deep dark raisins. Elle started getting back into the baking swing with this (thankfully!) 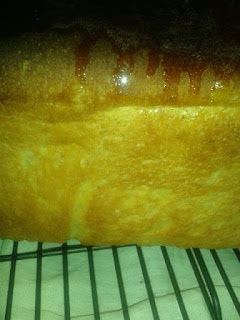 easy and yummy bread. It was especially pleasing to her teenage offspring, who demanded this one be made again soon. Little offspring even devoured it, despite the questionable veggie content. Last but not lease, Jeniffer decided on one of the variations for this month. Zucchini! It turned out beautifully and what a clever way to use up those summer vegetables. 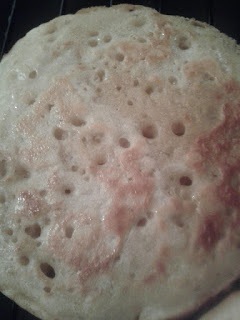 Switching gears, next month will see us making crumpets! Fasten your seatbelts and happy baking! Welcome back! This month we made Rose's Banana Feather Loaf. Don't let the title fool you - this is not a quickbread that we all tend to immediately picture. Rather, this is a hearty, solid loaf of bread that makes great toast or sandwiches. Sheryl, like many of us, had to get passed the idea of banana in a bread loaf, but was so thankful she did because this made a stunning and pleasing addition to her baking rotation. A great way to use up a ripe banana! 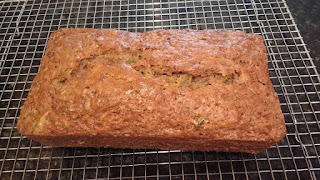 Vicki recalls the first time she made this banana feather loaf and would definitely make it again. Like the name says, she thought this texture and crumb absolutely light as a feather. It also makes great french toast! 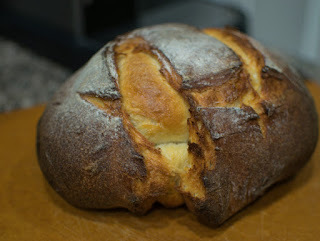 Laura made this delicious (and deliciously dangerous) bread, too. Look at that crumb! Airy and fantastic, she'll also be putting this recipe into regular rotation. 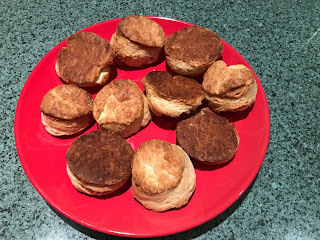 Elle also recalled when she first made this recipe, and definitely wants to make again. This was a perfect bread to watch bake into a golden hue through the clear pyrex loaf dish. 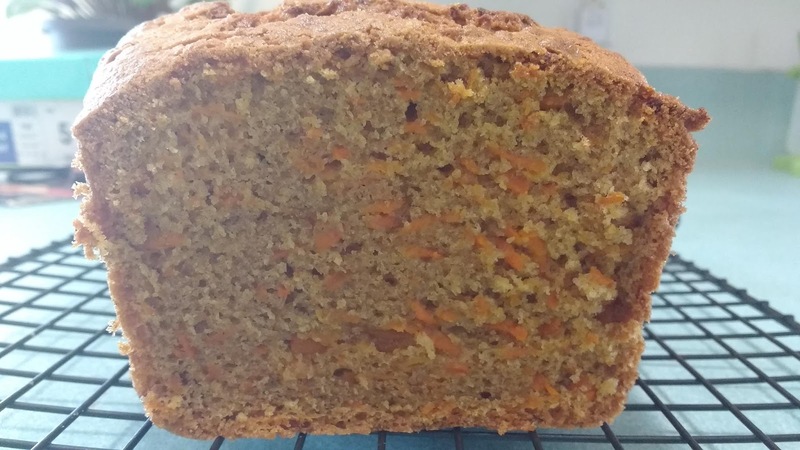 Next month sees us making Carrot Bread - happy baking! Not many of us were able to make the Potato Buttermilk bread this month, so I think this may go on our makeup list. 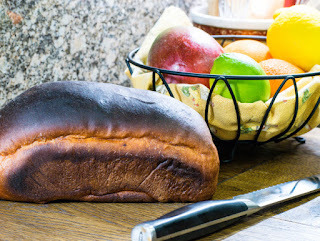 Fortunately, we had two bakers able to carve out some time and give us mouth-watering results of this fun, dark-crusted loaf. Sheryl absolutely loved this bread and we can see why! It makes fantastic sandwiches and is a keeper recipe to make in future. She tried out dried buttermilk instead of liquid and thought it was a fine substitution for liquid since most of us don't keep buttermilk in our fridges regularly. Laura also made the bread and gave this one a thumbs up! 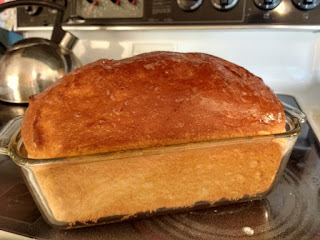 It turned out wonderful and although it begged to be devoured on the spot, she and her husband did manage to hold off and keep some for later. Thank you bakers - on to the next round! This month Pizza was the name of the game, and boy did everyone deliver. 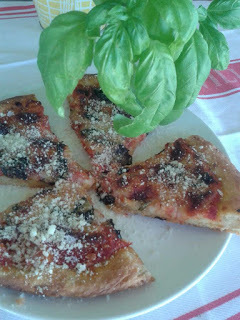 From the Alsatian to Margherita, the bakers had fun with different toppings. Vicki topped hers with homemade marinara, basil, and parmesean. No one can disagree with the fantastic results - it looked (and tasted) absolutely scrumptious! Catherine felt very cosmopolitan feasting on the Alsatian pizza. We can see why! 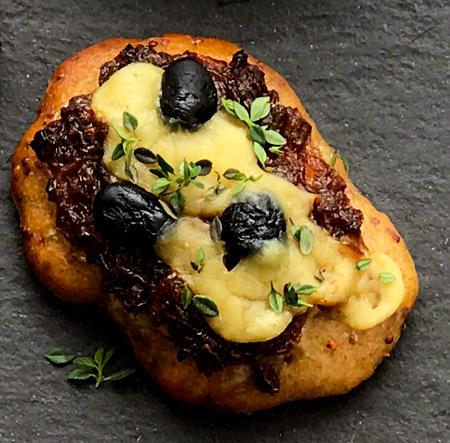 With beautiful caramelized onions complementing gooey cheese and beautiful olives, this was a winner of a month for baking (and eating)! Jeniffer really pulled out the stops this month and baked a stunning creation! 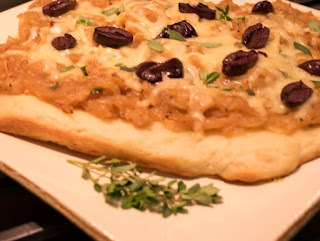 With her own twist on the Alsatian onion pizza, these mini servings would have anyone asking for seconds, even thirds. Sheryl gave us a fabulous history and background to the region where Alsatian comes from, along with showcasing her result. She also got to test out a new pizza stone with great success. As always, well done! 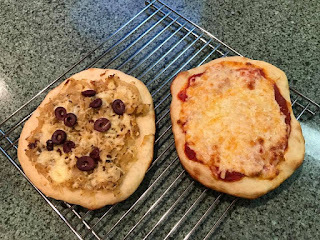 Laura made two versions of pizza for dinner with her husband and we were excited to hear that both earned rave reviews! Indeed, based on her photo they really look delicious. 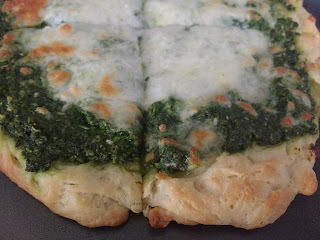 Elle didn't have a chance to get the onion and gruyere for her pizza so she improvised with homemade pesto and topped with mozzarella cheese. Her family inhaled the results and enjoyed the lovely scents of baking pizza dough in the kitchen. That's it for this month - happy baking! 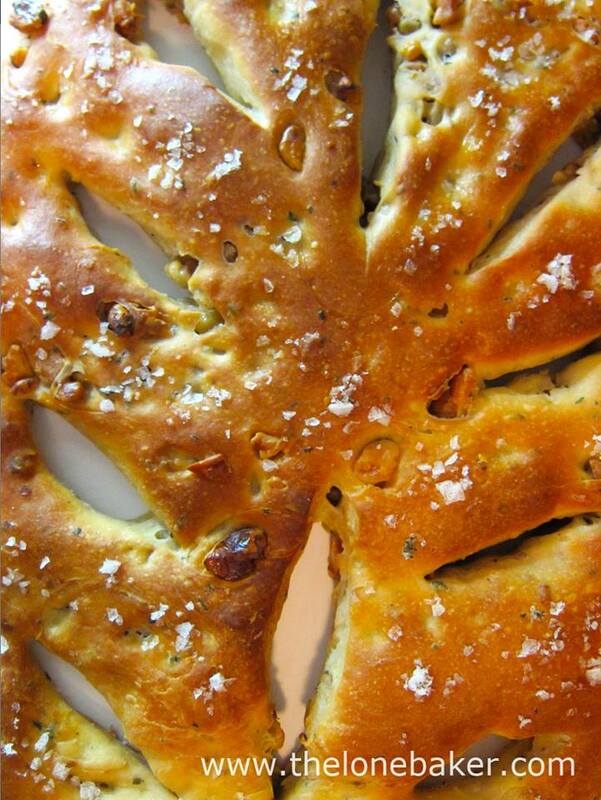 Our list next saw us baking Rose's fragrant Walnut Fougasse. 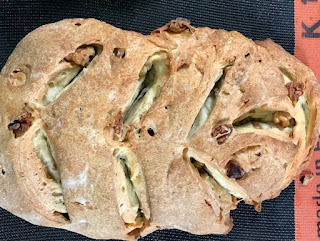 Cousin to the focaccia, this has the lovely additions of walnuts and walnut oil and is guaranteed to make your kitchen smell heavenly. 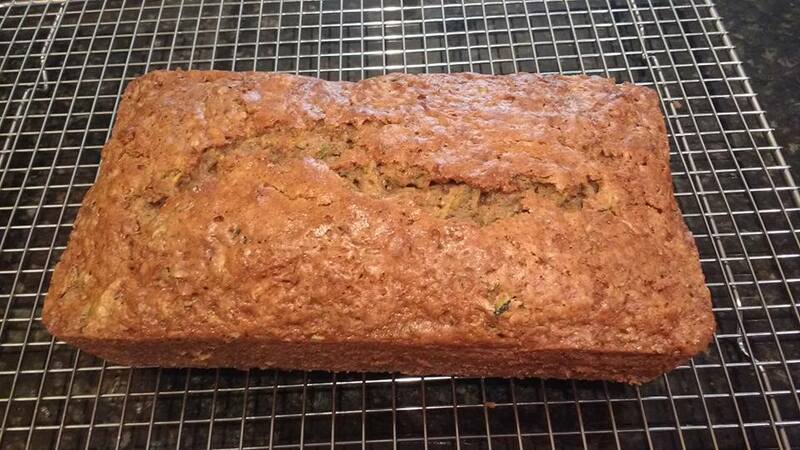 Jeniffer added lemon and sage to her bread, a combination that sounds wonderful! 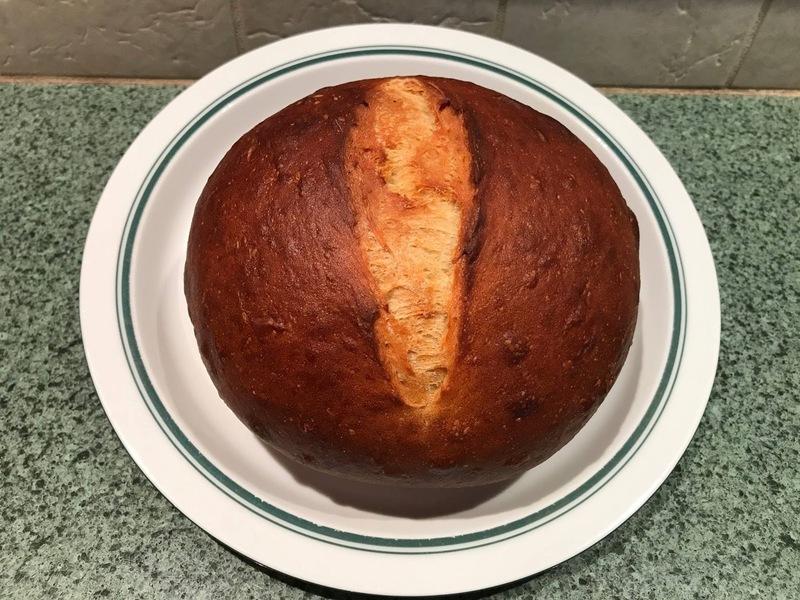 The slashes in her bread to resemble the traditional wheat sheaf add a great touch to this bake. 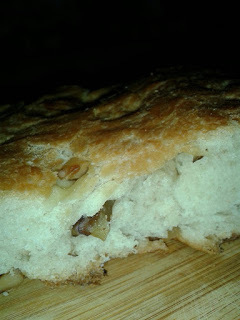 Vicki also could note the resemblance to focaccia and made a wonderfully dark-golden bread. To keep it from becoming too brown with baking, she smartly tented it with some foil. Her kitchen smelled like a french baker's all day long. Elle left the chopped walnuts out of hers since the family generally doesn't like nuts in things, but the walnut oil alone was enough to give this bread a hint of rich nuttiness. It was a treat to eat! Sheryl twice made this month's bread, finding that the texture was a bit difficult to work with and didn't seem to come out quite right. 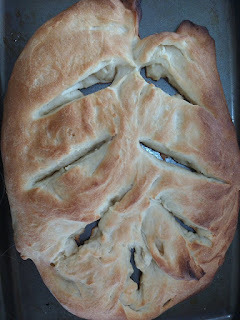 While she might not make this bread again, she definitely expanded her horizons and learned quite a bit about making different varieties of fougasse. 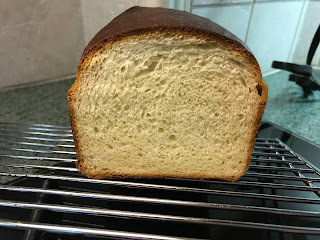 Catherine also would not list this on her favorite breads of all time, but was a trooper in finishing out the recipe and showing off her results. A fine specimen and wonderfully slashed in the traditional manner. Great job this month, Bakers! Pizza upcoming!